Build your own space empire. 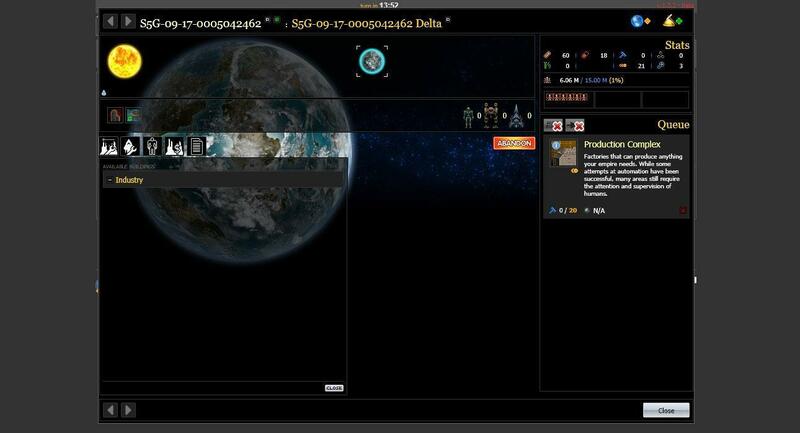 Construct facilities in your colonies to collect resources. Engage in battles to prove your prowess. 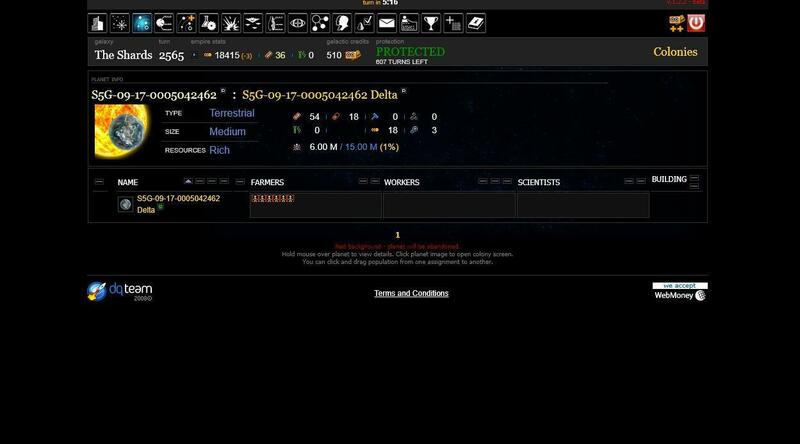 If you’re the type who enjoys browser-based and text-based RPGs, then you will certainly find Delta Quadrant: Horizons to your liking. This is the game that’s best for those who like science fiction types of games, and for those that are interested in building a colony up from scratch. The first step is to sign up for an account. This you can do by linking your Facebook account to the website. Alternatively, you can use your email address. You only need to nominate a username and password. Now, simply validate your email address in order to activate your account... And then you’re good to go. Your first step is to take on the tutorial missions. You can access the missions by looking for the Missions button on the upper part of the web page. You are then taken to a list of missions that are classified by Available, Current and Accomplished. Since you have not taken on a mission yet, you should go to the Available missions. Your first tutorial mission is to build a farmland on one of your colonies. Now, building structures will consume a number of turns. Each construction requires a different number of turns to finish. You’ll have to wait for them to finish in real time, and each turn consumes around 15 minutes of time. You can do other tasks while waiting for that queued process to finish, like watching a video on Youtube or work on a pending job in the office. The game just resumes on its own in the background anyway, even if you close the tab or the window where Delta Quadrant: Horizons is in. Research is the other task that you can do here in the game. Researching will unlock various technologies that you can use to further the prowess of your own Empire. Just like construction, research will also consume a number of turns in order to complete. They can, of course, be left running in the background. Engage other players in player versus player battles just to give your armed forces a try. You can click on the Battles button on the top-most tab in each page you’re in. In this tab, you can also view, in addition to ongoing battles, your previous battles and their results. This way, you can see if you’re doing very well or if you need to strengthen your colonies’ military further. There are no cinematic cut scenes here, but the amount of information that the website displays after each action that you undertake is enough to fill in. You just need to use your imagination of course to understand the depth of the game. Delta Quadrant: Horizons is 100% free to play, and has a huge amount of content to offer the residents of its galaxy. 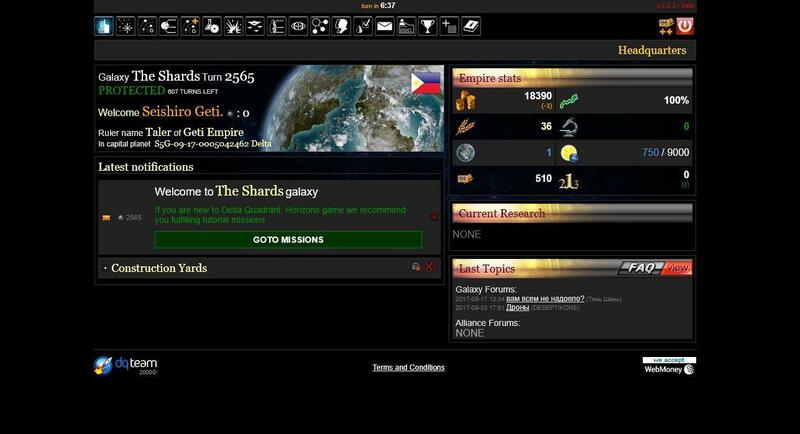 There are thousands of players online, and you can join them now just by creating a free account on the website.